Every vehicle, regardless of their make and model, is prone to certain issues to some extent, some models more and some less. 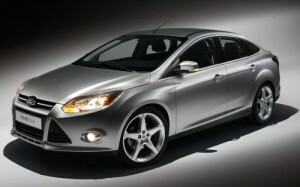 The same is true for models manufactured by the renowned American car manufacturer, Ford Motor Company. Even though Ford is among the world’s top ten largest car makers with an extraordinary line-up of vehicles and has been in the car manufacturing industry since 1903, some popular models such as the Ford Explorer, the Ford Focus, the Ford Taurus and others are sometimes prone to defects. However, with regular vehicle maintenance and inspection, you can keep your Ford running smoothly and prevent expensive, often avoidable repairs. At The Automotive Experts, we offer not just a general inspection, but a thorough model specific Ford car service on a large part of the Ford fleet. Most Ford owners experience transmission problems. This is a common problem for the majority of Ford models. However, the Ford Explorer (especially 2002, 2003, 2004 and 2006 models) is probably the model that is most prone to a faulty transmission. The Ford Taurus (2003 and 2005 models), the 2008 Ford Escape, the 2006 Ford Mustang, and the Ford Windstar models also fall under this category. The transmission is an integral part of your vehicle that shifts power smoothly from gear to gear when you speed up or slow down. If you notice anything but smooth gear shifting, bring your vehicle in for a detailed Ford car service. Another common issue associated mostly with the 2000 and 2003 Ford Focus models is a faulty ignition system, to be specific; the key won’t turn or gets stuck in the ignition. This usually means that the ignition switch and steering column may need to be replaced. If you own the 2003 or 2006 Ford Expedition, you most likely already have had some engine problems. The most common one is a spark plug ejection. The spark plug is an essential part of the car’s engine since it ignites fuel and if it is loose or improperly installed, it can cause engine fire and even put your passengers’ life in danger. Another very frequent problem Ford models have is a cracked rear plastic panel. 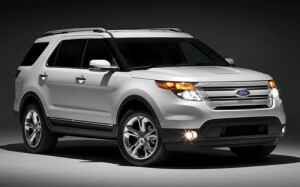 The Ford Explorer and the Ford Escape owners, in particular, need to be aware of this problem. If you already have a cracked panel, contact your local mechanic or one of our workshops to perform a thorough Ford service. Other issues associated with Ford models are windows and windshield problems. Most owners of the 2004 Ford F-150 complain that the window doesn’t roll up, while the Ford Ranger owners experience steering and brake problems and problems with wipers activating by themselves. The 2006 Ford Mustang is prone to electrical, fuel, certain engine and transmission problems. Many of the above issues are the result of poor car maintenance and irregular car service, so we highly recommend that you perform car service as often as recommended by the Ford model car manual. If you have been experiencing some of these issues with your Ford, make sure you visit a well recognized car mechanic workshop, that has many years of experience in fixing problems with Ford models and repair the problem in time to avoid major repairs. If you choose one of our workshops for your next Ford car service, The Automotive Experts’ trained technicians will conduct a thorough inspection by checking different points of your Ford vehicle, not just the problem in place and we will provide you with a detailed written report and a competitive price on all our work. We offer an excellent and professional service at down-to-earth prices. All our technicians are fully trained to conduct repairs on any Ford models in Australia and you can be sure that they will replace only the parts that need to be replaced.